The Fox Case & Token are back through the end of the year! A handmade home for your Fall of Magic game components. Each case is sewn from a selection of recycled scroll canvas in a variety of languages and has places to store the island cards, tokens, and notecards for use in play. The case has a unique design where the weight of the tokens holds the flap closed. 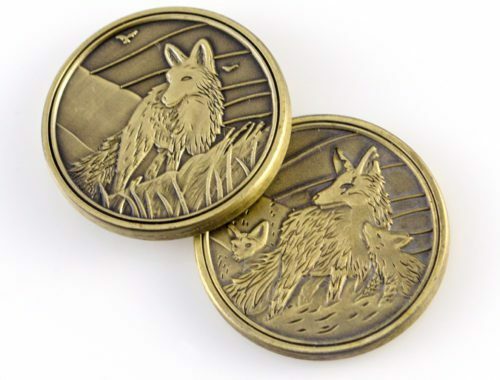 A 6th token for use with Fall of Magic depicting a young Fox on a hillside in the spring on one side and an Elder Fox accompanied by a pair of young kits in a winter landscape on it’s reverse. 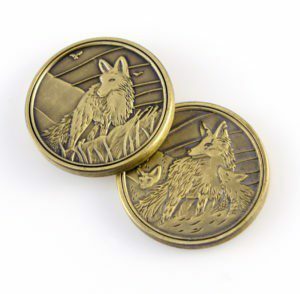 The Golden Fox Token was designed by Doug Keith and manufactured in partnership with Campaign Coins, the same team that developed the original tokens. LP#004 featuring “The Faceless” art by Brett Gillan. Available in black as a t-shirt, zipper hoodie (art on back with Apocalypse World breast pocket print), or pullover hoodie. Check out the official game site below! 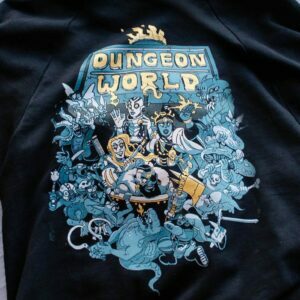 Heart of the Deernicorn has partnered with some of our favorite publishers in indie games to bring you a series of limited-edition screen printed designs on shirts, hoodies, and posters. After the sale, any extras will be available in our store. 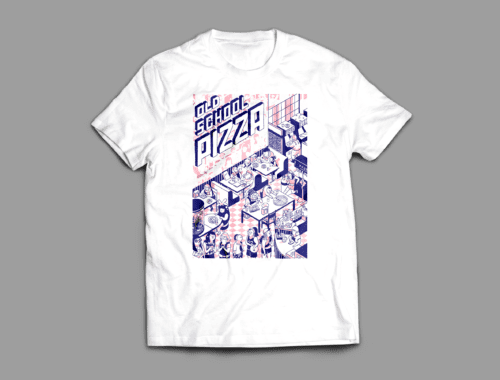 *3XL and up sizes are printed on Hanes JMS, and Gilden. The displayed images are a digital mockup, and slight variations in color and alignment will occur and are a normal part of printing process. For our third print we are featuring Dream Askew|Dream Apart, a split rpg of belonging outside belonging by award-winning designer Avery Alder and hugo-nominated author Benjamin Rosenbaum. The front of the print features Avery’s “No Dice No Masters” system of structured freeform role playing. On the back is a gorgeous 3 color rendering of Ezra Rose’s Sigil they designed for the games. 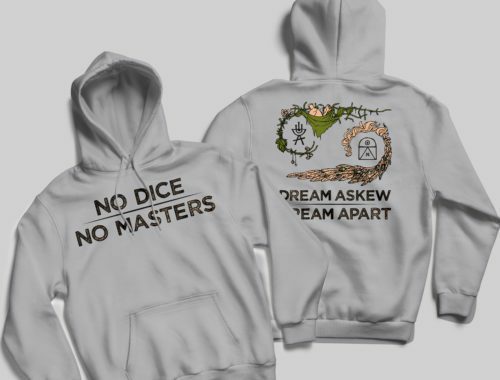 Tees are available in creme, ash, and blue silver, and hoodies are available in ash. The prints will feature the Sigil art only and are printed on creme colored paper. Our limited print launch was a huge success and we are now hard at work fulfilling over 130! 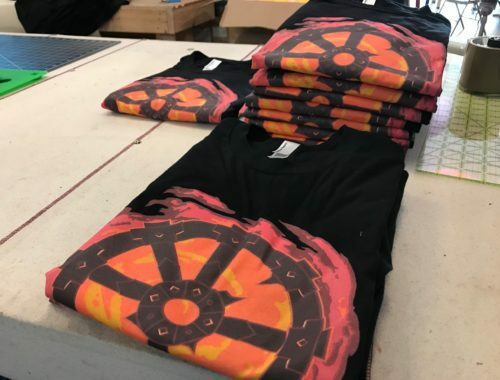 Burning Wheel print orders! We had a mishap with the discharge ink that left some of our shirts a bit more faded than we’d like and we are replacing them. Basically if you don’t cure the discharge layer sufficiently before printing over it it fades your ink as well as the shirt! We have it dialed in now, but some orders will be delayed up to a couple weeks while we order and print replacements. We appreciate your patience. I brought the latest BFF prototype to GenCon this year and ran BFF for a dozens of folks. It was really great to get to show off the new hangouts and just watch people discover the game for the first time. 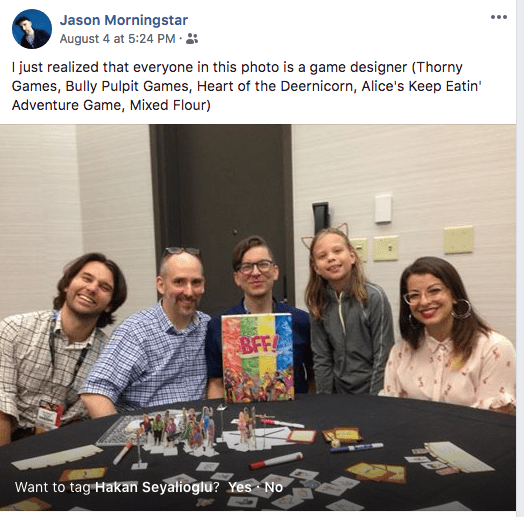 On Sunday, Jason Morningstar was kind enough to arrange a game with Anita Sarkeesian(!) who was kind enough to make time in here busy guest of honor schedule to play with myself, Jason Morningstar, Hakan Seyalioglu, and a 9 year old game designer named Alice. We told a sweet bff tale of hanging out in the woods, and playing games and prank’s in Lulu’s basement. Check out Anita’s amazing work @ Feminist Frequency! Heart of the Deernicorn has partnered with Olympia icon Old School Pizza to produce this gorgeous illustration by Tay Dow featuring the entire cast of BFF. 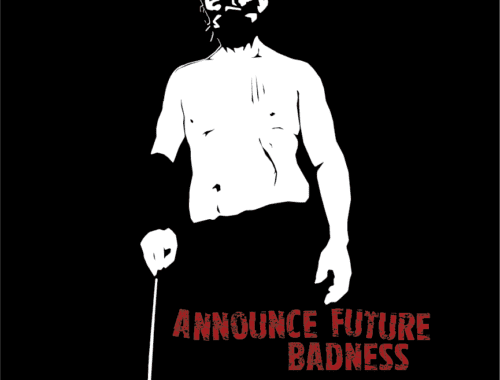 Available from now through the end of August as a Shirt, Zip or Pullover Hoodie, or Poster! The internet is a big deal. This comes as a surprise to no one, but one thing that does surprise me is how fluent youth are with the internet. We’re turning into a true world of cyborgs where the line between knowing a thing and being able to look it up online is growing more and more blurred and the names of popular apps are creeping into our vocabularies as verbs. 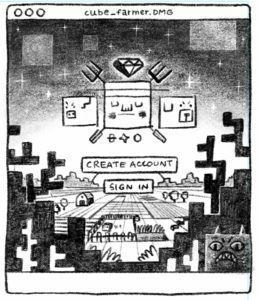 Clearly, the internet exists had to exist in BFF, but how would we represent that in BFF? We settled on having some references to technology on each of the main design layers of BFF: Friends, Charms, Hangouts, and Friendship Cards. For example, on the Friend layer, we have Sophia who, in her illustration looks at her phone as she skates. And we have Hyunjoo, who has a laptop as part of her DJ setup. We have one of the friends, Sophia on cell phone as she skates. In the Hangout design there is a computer lab and computers throughout the Middleschool, and a sweet computer rig in Tiffy’s Bedroom. 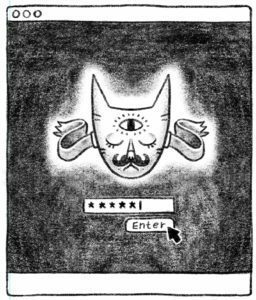 So these elements combined remind us in play that the internet exists, and that our characters have access to technology. The internet is also the basis for one of the Hangouts! Our design proccess begain with a brainstorming session where we talked about the different kinds of websites that we would like to be represented. These notes gradually transformed into a design document and into Taylor’s concept sketches where we molded these ideas to fit into the world of BFF. For example We knew that we wanted a video sharing website like youtube. 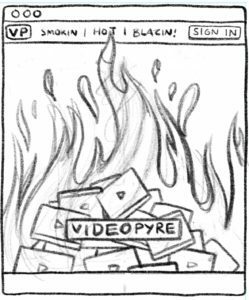 This concept went through several iterations ending up with taylor’s VideoPyre sketch depicting a flaming pile of video thumbnails. 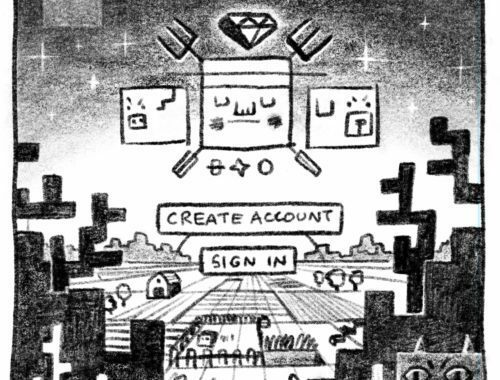 Another design we we wanted to include was a MMORPG version of the Cube Farmer RPG scene in Lulu’s Basement. Here we’ve taken the cube farmer concept but extended it to evoke this whole world you can explore with inspirations drawn from Minecraft and World of Warcraft mixed in. The third concept I’ll share is for a mysterious site that is so mysterious we don’t even have a name for it yet. When designing an array of scenes for a player to choose one thing we try and do is toss in one that is evocative and a maybe a little dangerous or confusing. This fills that role for the internet. That is it for now. I hope you have enjoyed this window into the BFF design process! We hope that by partnering directly we can remove some of the financial and logistical barriers that indie publishers face getting shirts made. Luke Crane was the first person to reach out to me after the publication of Fall of Magic to help him with this gorgeous cloth edition of Inheritance, so it feels fitting that we kick off our Limited Print series with this bonkers 6 color design for Burning Wheel. 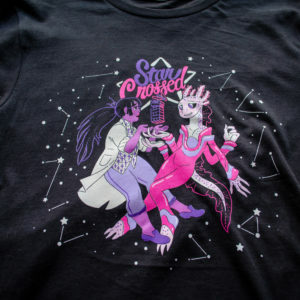 This is the most technical shirt design we have attempted to date and I am thrilled how it turned out! 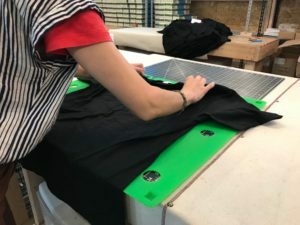 The first layer of printing is done using a discharge ink that removes the dye from the black shirts, allowing the other layers to soak into the fibers. The result is a vintage-looking print that will age gracefully over time and not crack like plastisol inks that are more commonly used. Available now through August 15th! Jason Morningstar, award-winning game designer of Fiasco, Night Witches, and Gray Ranks is coming to Olympia, April 30th-May 6th to do an artist in residency at Heart of the Deernicorn. As a part of his residency Jason will be attending and facilitating a program of events open to the public. 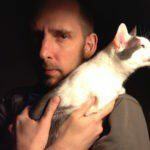 This is an amazing an unique opportunity to learn from one of the sharpest minds in modern game design. Jason’s prolific body of work is a masterclass in tabletop and live action design techniques and the use of games to interrogate and reimagine history. On top of all of this Jason is a generous contributor to the gaming community and has worked hard to mentor the next generation of indie designers, both through event organizing, through his publishing company, Bully Pulpit Games, and through his compassionate and thoughtful facilitation at conferences around the world. 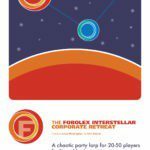 Come and bring a game to work on, or just show up and playtest other designer’s unfinished works. Everyone welcome. A larp about federal intrusion into activist organizations where you play as the feds. Workshop to follow. A chaotic party game about finding your place, Q&A to follow. 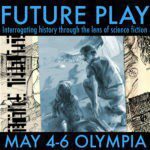 A weekend conference focusing on games that examine historical events through the lens of Sci Fi. 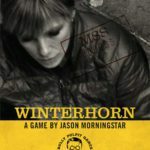 Jason Morningstar is a game designer who lives and works in Durham, North Carolina, USA. 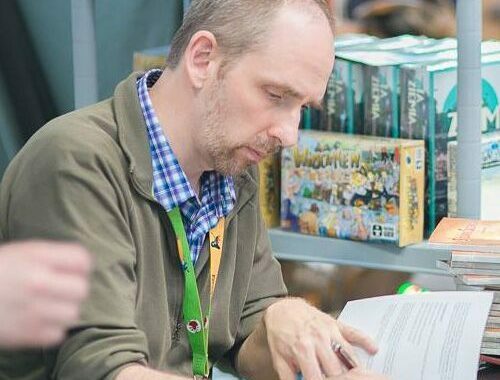 In addition to tabletop and live action roleplaying games, he has also made games for clients like Google and the University of North Carolina at Chapel Hill. His collaborations include the #feminism collection, Fastaval nominee Old Friends with Ole Peder Giæver, and the popular Love in the TIme Of… games with Matthijs Holter. Jason’s games have been featured at Indiecade and in the Gen Con 50th anniversary museum. He has been a guest at a variety of events, including Ropecon, Gen Con, Lucca Comics and Games, and Dragon Con. Jason was a keynote speaker at the 2016 Living Games conference. Beyond roleplaying, Jason consults on the use of games for teaching and learning, most recently with the University of California, University of Michigan, Kaiser-Permanente Health Care, and the Innovation Learning Network. In addition to design, Jason has written extensively on game-related topics. His articles have appeared in the anthologies Analog Game Studies, States of Play and Unframed. Bully Pulpit Games is the creator of innovative games of outstanding quality. We specialize in making award-winning tabletop and live action games that challenge assumptions and blur boundaries. Our game Fiasco was an instant hit, won us our unprecedented second Diana Jones Award for Gaming Excellence, and has influenced a generation of other designers. Our historical games, like Grey Ranks and Night Witches, shine spotlights onto little-known stories at the fringes of popular narratives, and allow players to experience the joy and terror of bold lives full of contemporary resonance. Our live action games, like JUGGERNAUT and WINTERHORN, throw players into impossible situations and confront them with deliciously difficult choices, all while defying the “larp” stereotype with crisp, self-driven games that reach a satisfying conclusion in a couple of hours. And, of course, we’re always working to explore the edges of analog gaming, whether by experimenting with new ideas about character and player agency or by mashing up well-established formats into something new and weird. You can read more about Jason and Bully Pulpit Games at www.bullypulpitgames.com. Have you ever sat awkwardly in a circle with a bunch of strangers, waiting for the dreaded ice breaker to be over? Summer camp, first day of class, new staff orientation, a conference. Maybe you’ve even been the one presenting the ‘get to know you game’ that no one wants to play. It’s easy to recognize the need for icebreakers and team building exercises, but how do we actually design effective activities for a group or a specific event? What kind of experience do we want participants to have together and is that actually accomplished through the games we play? Experiential educator and artist Mo Golden and tabletop game designer Ross Cowman want your next group experience to be authentic, transformative, and memorable. That’s why they designed Night Forest, a ritual game that gets groups connecting authentically, going from awkward silence to meaningful conversation within a few minutes. 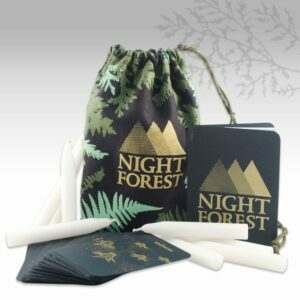 Night Forest is designed to be played outside in the woods with lit candles but can be played in an office, parking lot, or anywhere else with space to walk around. It’s simple to pick up and play, making it easy to incorporate into other activities without having to learn rules or guidelines first. “Night Forest helps create space for people to open up, be a little vulnerable, share what’s underneath the chit chat, and begin to build trust.” says co-designer, Ross. 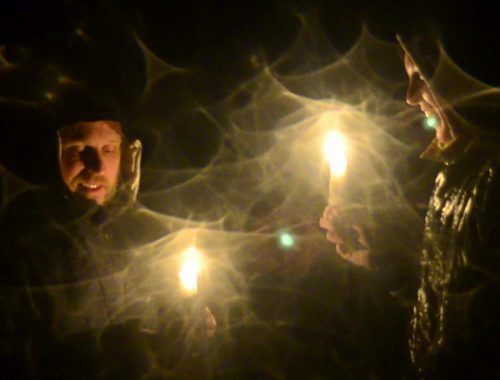 You get your group together and give each person a candle and a book of matches before going out to the woods at dusk or to an indoor space that can be darkened. 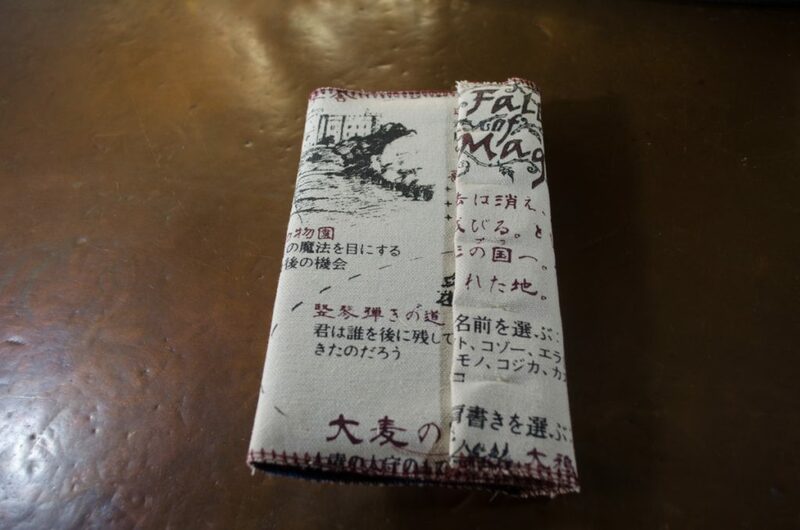 Once you’re in the play space, each participant is given a card from the deck of beautifully illustrated black and metallic gold Night Forest cards. Participants disperse, finding a place to be alone with their card. Once they are alone, they light their candle, flip their card over, and allow the image and word on the card to evoke or inspire memories. Participants move through the space, embodying and exploring their memories. When two participants meet, they exchange memories, trade cards, and continue the process with other memories and other people. At some point, repeat cards will appear. If a participant receives a card they’ve had before, they blow out their candle and become a forgotten memory. The forgotten memories stay in the shadows but follow the other memories around as silent witnesses. The game ends once everyone is a forgotten memory. Night Forest can be played around a certain theme, question, or issue the group wants to explore, or it can be completely open. Educators and facilitators appreciate how Night Forest provides enough of a structure that they don’t have to create something from scratch, yet enough openness and flexibility that it can be used again and again for a range of groups and learning objectives.